I have to say how much I LOVED being with you all and the session. You made it fun and painless. You guys are running an amazing operation – so customer focused. Very well run and customer focused. Lori was great and the facility was amazing. Very well run and customer focused. Everything was top notch, from their waiting area, treatment rooms, and of course Lori and Suzanne. I highly recommend DaVinci if you’re considering CoolSculpting. I had an abdominal session procedure with Lori and she was great, although she needs to work on her sales pitch. I’m just kidding of course. She talked me out of doing my obliques, she said I didn’t need it. I doubt many CoolSculpting technicians would do that. I greatly appreciated her honesty. Everything was top notch, from their waiting area, treatment rooms, and of course Lori and Suzanne. I went in for quite a few hours of treatment and neither Suzanne nor Lori complained once. Suzanne was a rockstar who waited on me hand and foot and made sure my comfort was their top priority. I felt like royalty really. Top notch! Can’t wait to see my results. I had tried Coolsculpt before with mediocre results. A good friend referred me to DaVinci, so I thought I’d give it another try. Wow, education and thoughtfulness truly make a difference. 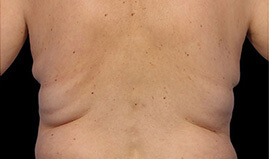 I was blown away by how well versed they were in the body and the function of CoolSculpting. I’m only five weeks out and can already see a difference! All my concerns were heard and thoroughly discussed prior to treatment. But, the treatment itself was fast and easy and I was out in a flash. If you value your body, time and money, this is definitely the place for you! Thank you so much Suzanne and Lori! Can not say enough good things about my experience at DaVinci Body Sculpting! Suzanne and Lori were amazing! So courteous and understanding. I was blown away by how pleasant and accommodating they both were! I would suggest this place to anyone looking into CoolSculpting. You will not be disappointed with the service you receive. Thank you so much Suzanne and Lori! The facility was spotless and she was very generous with her time. I had a free consultation with Lori Bergeron. The facility was spotless and she was very generous with her time. My goal was to see if I would benefit from Cool Sculpting on my chin. She explained the procedure, but honestly thought I would not get my desired result. In this day and age of service providers looking to cash in, it was very clear to me that Lori and DaVinci Body Sculpting has a very high standard they abide by. I was was very impressed with her assessment and other helpful suggestions. and would highly recommend DaVinci to anyone considering the service! Thus far, my experience has been great! Thus far, my experience has been great! Suzanne and Lori are fun, yet professional and knowledgeable. My visits were relaxing – I enjoyed champagne, great conversation, and a few episodes of Law & Order and Bones! Recovery has been quick and easy. I am excited to see the end results once the time comes. Thank you, ladies! The experience at DaVinci clinic was absolutely wonderful! The experience at DaVinci clinic was absolutely wonderful! Lori made sure that I had the most comfortable experience while I was there. The facility was so clean and chic. Lori explained the whole process thoroughly and the team constantly made sure I had everything I needed to have a great experience. I cannot wait to see the results! The only question now is which areas I want to do next as I will be back! Decided to have some Cool Sculpting done to hasten the changes in areas that I previously didn’t have issues with prior to menopause. The changes were subtle at first. But, as more time elapsed I was very pleased with the changes to the areas that I had it performed on & the recovery was nonexistent. The staff & my interactions with DaVinci have been wonderful. The facility is beautiful & Lori & her staff were extremely helpful, professional & knowledgeable. The only question now is which areas I want to do next as I will be back! DaVinci Body Sculpting is a certified CoolSculpting practice and what differentiates them from other clinics, is the fact that in here CoolSculpting is the only procedure they offer, so they have a lot of experience with this treatment. What I loved about DaVinci Body Sculpting, is that they make you feel like you´re in a Spa from the moment you walk in thanks to their specialized care and the great ambiance of its brand-new modern facility that has a minimalistic style that’s filled with natural light. I got my 90-day evaluation after my first Coolsculpting session and the improvement is incredible! My skin texture is smoother and I got rid of a significant amount of stubborn fat on a problem area I’ve had for years, I still can’t believe it! LGBT friendly – it was 100% true. Only a few weeks since the procedure but I feel I’m seeing a change, I’ll update in a few weeks. The staff are awesome, I’m always nervous when looking for a new place for any kind of treatment and I saw a review saying they were LGBT friendly – it was 100% true. I am currently doing my body sculpting. I just want to say how wonderful my experience is. Lori is so nice. She gave me a tour and let me pick which room I wanted to be in. She made me feel so comfortable. The waiting room was so at home feeling and very comfortable as well. Lori offered me snacks and drinks. She set me up with the tvs and remotes and even a button to push if I needed anything. She explained everything that would take place and how everything worked. She even showed me the equipment they would be using. I love how it is a one on one experience and I’m not getting confused with tons of different people. The treatment itself is not painful or scary at all. Just a little bit of pulling at first. Then cold feeling after that it just numbs out and it’s like it isn’t even there. I highly recommend Davinci Body Sculpting and will most definitely return to get other areas I am self-conscious about treated. If your looking to get body sculpting done this is the place to do it. Thank you DaVinci. I just experienced possibly the very best cool sculpting & customer service of all time! I just experienced possibly the very best cool sculpting & customer service of all time! FIVE stars for DaVinci Body Sculpting & FIVE stars for Lori Bergeron! If I could give more, I would! This studio is IMPRESSIVE! My procedure was custom tailored to my body type and issues! All they do is cool sculpting here, and they do it to perfection! Doctor supervised; clean, comfortable, & beautiful procedure rooms; and the professionalism & knowledge of the staff all added to the serenity I experienced in Lori’s very capable hands! No awkwardness, no pain; I left feeling rejuvenated and excited about my results! My entire experience was private, personal, and discrete. This the only place I would recommend or trust for cool sculpting! I am so impressed! What a remarkable company. They have a customer for life! Suzanne is amazing! I had such a wonderful experience and lost 10 pounds in 3 months following my treatment. My results were phenomenal and the staff is so very welcoming, accommodating, and professional. A wonderful business run by wonderful people. I thought for years about getting Coolsculpting, Lori Bergeron helped me decide to take the leap. Glad I did! 5 ⭐️s! I recommend with no reservations. A very professional team with a gorgeous and pristine office makes it a five star rating. Thank you Lori! I’m already thinking about my next treatment! I had a great experience with DaVinci! The consultation was very informative and I didn’t feel like they were just trying to “sell” me on getting a treatment done. Suzanne took her time showing me the facility, explaining the treatment and answering my questions. They made me feel very comfortable and after visiting other facilities I knew DaVinci was for me! I’m just 2 weeks post treatment and I can’t wait to see my results. The staff is great with following up and making you feel taken care of! I would highly recommend DaVinci to any of my friends! I’m so happy I found a non-invasive alternative to plastic surgery — I’m already thinking about my next treatment! Did the session over a couple of hours to my back, waist and thighs. Lori and her staff are super attentive and ensured I was comfortable throughout. The new facility is gorgeous. My results are great, I highly recommend Davinci. I saw a noticeable difference and highly recommend this place and these gals to anyone! Lori, Suzanne and Phoebe were so warm and genuine and totally eased my mind about CoolSculpting – from explaining what it was, the science behind it and what real and long-term results I could expect. I had a great experience, saw ACTUAL results and they even threw in one extra session to help even out the asymmetry in my flanks – I saw a noticeable difference and highly recommend this place and these gals to anyone! Where do I begin!!! Just an AMAZING experience. So detailed in explaining everything and making me comfortable. Even though I was just a winner in a raffle I didn’t feel any different from a paying customer. So clean so professional!!! I would definitely recommend this place to everyone. The experts at DaVinci make freezing fat fun! The experts at DaVinci make freezing fat fun! The facility is beautiful and Lori, Suzanne and Phoebe make you feel right at home. They are true professionals that work hard to get you the best results. I would highly recommend DaVinci if you are interested in CoolSculpting. Excellent service, very professional and knowledgeable of the services provided. Excellent service, very professional and knowledgeable of the services provided. As soon as I received my consult, I felt confident that the treatment there would be a great experience and more confident of the services I would be receiving. I have been to different places to obtain a consult, however, none gave me a level of trust that DaVinci Body Sculpting provided. They offer a guarantee on their treatments provided which speaks volumes on how good they are at what they do. My experience was better than I expected, Susanne made me feel very comfortable answered all my questions (I did have a little fear of the unknown). the procedure was pain-free just cold and I got used to it pretty quick within a few minutes. After the procedure I went home washed my floors never even had to take ibuprofen. They have the newest technology, I am really excited to see end results. If you are thinking about cool sculpting I would just go do it. If you are wondering I am female 57 yrs old. LOVE, LOVE, LOVE this place. I’ve been to a commercial facility (Sona Med Spa) before and all they want is your money! DaVinci Body Sculpting care about YOU. The place is phenomenal. The service is exceptional! Lori is so personal and a breath of fresh air. Suzanne is so nice too! Lori knows what she’s talking about. Besides the service, they have a customer guarantee that you cannot beat. If you are still within 4 pounds of your weight after 90 days, they will give you the treatment again FREE!! Hello?? Who offers that? That alone is enough reason to try them. You will not be disappointed. I’ve been so happy with my results! There’s no downtime and no pain. I literally felt like I went to a spa for an hour and then months later, I was smaller. I lost ten pounds! I am 6 pounds away from my goal weight and I’ve dropped two pants sizes. I’m truly impressed with DaVinci. If you have doubts, don’t worry, I highly recommend. Wonderful service! During my consultation Lori was very professional and put me at ease. She explained everything thoroughly and definitely didn’t try to oversell me- I initially wanted to cool-sculpt my stomach AND hips, but after looking at the areas she suggested I not do the hips just yet, that we should see how he tummy turned out and then reassess. A week later I went ahead with the procedure. I had two sections on my stomach done, and then two on my back (bra fat). It was so easy and painless. Literally relaxed, drank coffee and watched real housewives for a couple hours. It’s been two weeks since the procedure and call me crazy but I think I already see a difference (she told me i could start seeing results as early as 4 weeks, with most of the change happening at 16 weeks). I will update this review as the results start to really show. So far, the experience has been great. Go check it out! I’m a fan for life! The nicest people ever run this business. Besides being so kind they operate with utter integrity. I went for a consultation for Cool Sculpting and was told that I wasn’t a candidate because I had had skin laxity, not fat. I know, TMI!! A less ethical place would have gladly taken my money, knowing that I wouldn’t get the desired results. I’m a fan for life! Great place, the staff is very welcoming and professional. All my questions and concerns were and answered. They were very clear about which areas would work and which would not. I really appreciated the honesty and managing my expectations. Wonderful experience. Everything was explained in detail and had the best customer experience. The clinic is beautiful, modern and, minimalistic. I was offered coffee, Pellegrino water, and even lunch. The rooms have TV and lots of pillows to get you as comfortable as possible during the procedure. This place is so relaxing. You walk through the doors and think you have walked into a spa. Lori was very detailed and explained the entire process and what to expect. She even gave me a tour of the facilities. They were spotless and clean. I appreciated her honesty as I was not a candidate for the particular area that needs help. Had a CoolSculpting appointment May 3rd. Everything went according to plan, my visit was made very comfortable and smooth. Lori ran my appointment and had fantastic customer service. Thank you for the outstanding job that you guys did. Your team went above and beyond to make me feel comfortable and I am ecstatic about my results. It makes me really happy when I look in the mirror. I definitely got my pre-baby body after CoolSculpting and it felt right. I like to wear fitted shirts and now I can. CoolSculpting was the perfect solution for me. It froze off my fat and didn’t interfere with my schedule. At work, they are already commenting on how much thinner I look. Who knew that I had to get into my 50’s to have confidence? I was skeptical, but I did it, and it’s been huge for my confidence.